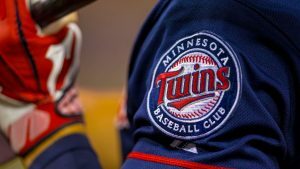 MINNEAPOLIS (AP) — Brian Dozier hit a two-run home run, going deep for the second straight game to give the Minnesota Twins a boost on their way to an 8-5 victory over the Kansas City Royals on Wednesday. Dozier sent his 15th homer of the season into the second deck above left field in the sixth inning against reliever Enny Romero. Logan Morrison hit a solo shot one out later, padding Minnesota’s lead.